Birch: March 21. Elevation normal, water upper 50s and clear. Largemouth bass good on spinnerbaits and crankbaits. Crappie good on minnows and jigs at 12-15 ft. around structure. Report submitted by David Clay, game warden stationed in Osage County. Carl Blackwell: March 21. Elevation 6 ft. below normal, water 52 and muddy. Crappie fair on minnows and jigs. Saugeye fair trolling crankbaits. Report submitted by Jon Cunningham, game warden stationed in Payne County. Copan: March 20. Elevation above normal, water murky. Crappie good on minnows at 4-6 ft. near the Highway 10 bridge and in Cotton Creek. Blue and channel catfish fair on juglines baited with cut shad. Report submitted by Joe Alexander, game warden stationed in Washington County. Eucha: March 22. Elevation 2 ft. below normal, water 57 and dingy. Crappie good on minnows and jigs at 10-12 ft. around brush and structure. 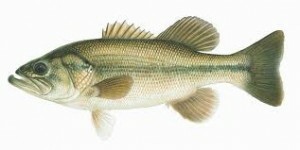 Largemouth bass good on jerk baits and spinnerbaits. Catfish fair on trotlines and juglines baited with live perch. Report submitted by Dwight Moore, City of Tulsa. Ft Gibson: March 21. Elevation normal, water 52 and clear. White bass fair starting up the main river and creeks. Largemouth bass being caught on crankbaits and countdown minnows at 15-30 ft. Crappie good under docks and in shallow water late in the evenings. Catfish slow in the main part of the lake. Report submitted by Rick Stafford in Wagoner. Hulah: March 20. Elevation above normal, water clear. Crappie good on minnows and jigs at 4-8 ft. in Skull Creek and Turkey Creek. Report submitted by Joe Alexander, game warden stationed in Washington County. This entry was posted on Thursday, March 24th, 2011 at 9:09 am	and is filed under Fishing Reels, Lures. You can follow any responses to this entry through the RSS 2.0 feed. You can skip to the end and leave a response. Pinging is currently not allowed.